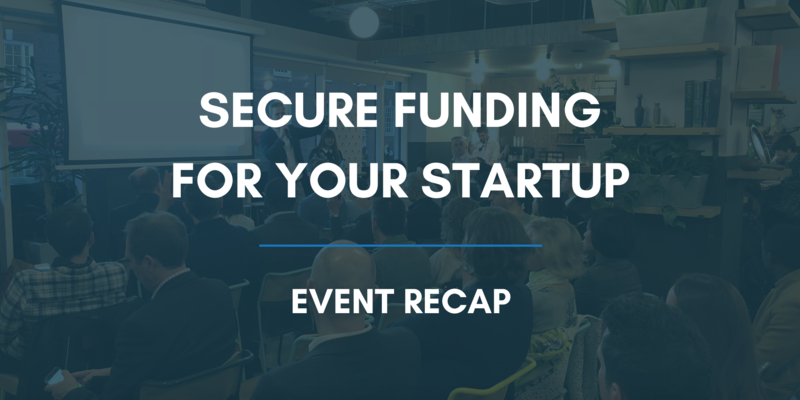 Early-stage ventures may not yet be able to secure the mega-deals that make the news, but the speakers at last night’s ‘Secure Funding for Your Startup’ event proved that budding entrepreneurs have plenty of options. Attendees heard from experts from a wide range of funding types, from loans to venture capital: Rose Lewis from accelerator Collider, Luke Smith from early-stage venture capital firm Forward Partners, Anthony Carty from lender comparison site Alternative Business Funding, Andrew Adcock from crowdfunding platform Crowd for Angels, James Pattison from startup funding and guidance provider Startup Direct, and Rohallah Ghasemi and Carmelo Spanó from business angel and seed fund group Startup Funding Club. Many of the funders emphasized the importance of early-stage entrepreneurs receiving guidance from their funders as well as money. As a startup entrepreneur, particularly if you are beginning your first venture, consider whether you need mentoring or other support before choosing a funder. Then, once you think you know what kind of funding you’re looking for, use these tips to help get them on your side. These are the most important things elements of presenting your business to funders, says Crowd for Angels’ Adcock. Your foundation is your workable idea, your realistic set of numbers, and your team capable of executing your business plan. Your presentation needs to be clear enough that your mother and friends can understand it; it helps to use images, a clean layout, and a defined structure. Finally, have two versions of a consistent brand story: the 15-word version for when you only have a moment with an investor and the romanticized one for when you can have a longer chat. If one of the nine main banks in the UK rejects your loan application, they are required to send you to one of three alternative lending platforms. Carty’s Alternative Business Funding is one of these. Always ask about your outside options. Richardson recommends finding new ones by networking, entering an accelerator or incubator, utilising forums and meet-ups, contacting ecosystem organisations who can put you in touch, and researching on websites such as angel.co and Crunchbase. -Ability to get things done. Do you have a track record of achievements? -Vision. Where is your company going in the long term? -Flexibility. Good entrepreneurs can roll with changes. -Resilience. Building a business is hard, and things constantly go wrong. Show you can handle it with grace. -An unfair advantage. There has to be something that shows that you are the one who will succeed in building a business around your idea, as opposed to your competitors. Startup Funding Club notes that it’s important to highlight the successes you’ve already had in your career: what you have done, not what you want to do, inspires confidence. Validating your model is equally important. You can’t rely on a great idea. With every similar startup a funder sees, the bar is raised higher and you will need to do more to earn their confidence. Forward Partners’ Smith and Collider’s Rose Lewis provide excellent tips for pitching to early-stage investors and accelerators. -Know your audience - both investors and customers - and tailor your pitch to them. -Be structured... but not too structured. Always have a deck with you, but don’t get anxious when asked to deviate from it during the conversation. -Help your audience understand why your business matters. -Engage with questions. Evading them looks suspicious. -Be respectful of time. Don’t be late, and don’t overrun. -Know your objective for a meeting - sometimes it’s just about getting a second meeting. -Be concise. Limit your presentation to ten slides maximum. -Cofounders can’t talk over each other. It shows that you don’t trust each other. In fact, it’s better in some cases, says Adcock. Funders receive countless pitch decks directly from entrepreneurs, most of which will not be relevant to their needs. Aggregators such as the Business Funding Club’s FundingMatches, on the other hand, know what each funder is looking for and select businesses to represent accordingly. Since funders tend not to be transparent about what they want, being filtered through an aggregator is a promising sign that your business will interest the funder. As a startup entrepreneur, it’s easy to feel intimidated by later-stage business’s multi-million-pound deals. However, know that you will not be discounted simply because your business is seed or pre-seed. Funders such as those who appeared at this event want to be part of a high-potential business’s journey from the very beginning. Missed this event? Consider crowdfunding for your startup? Then join us for our next event at WeWork Paddington, ‘How to Create a Successful Crowdfunding Campaign’ on 17th May at 17.30. Learn what you need to know to get started on your campaign and connect with some of the biggest UK crowdfunding platforms. Secure your ticket here!